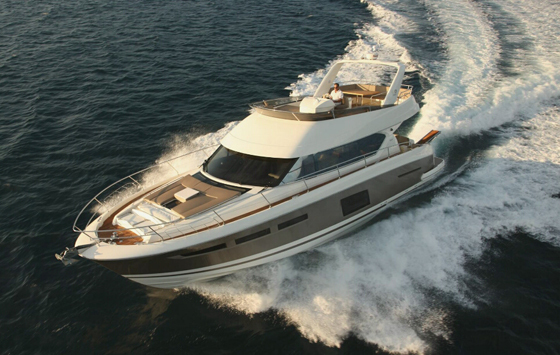 The new 2015 Prestige 750 is a motoryacht built in northern Italy, the builder's flagship model. 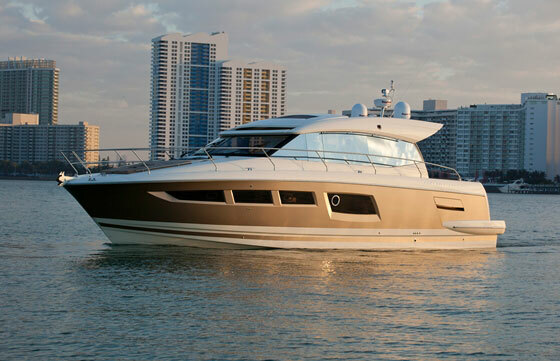 When reviewer Zuzana Prochazka came across the 2015 Prestige 750 at the Fort Lauderdale International Boat Show, she judged it a motoryacht worthy of some extra attention. 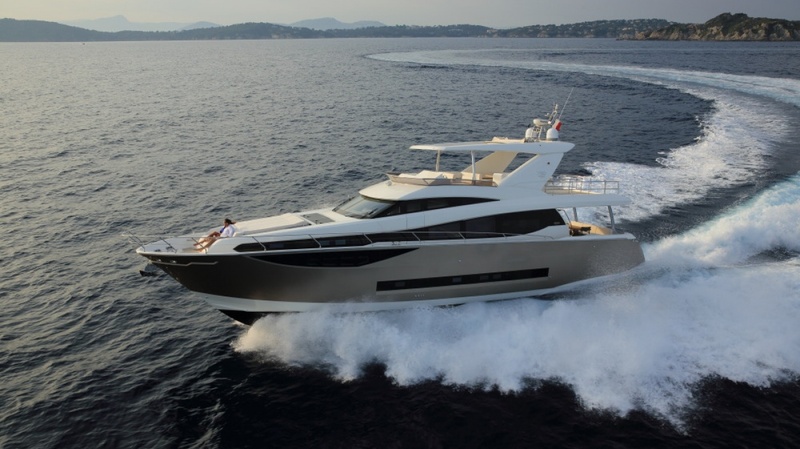 It wasn't merely the Prestige's cutting-edge construction, which includes vacuum-bagging, tremendous attention to detail. and an interior our reviewer described as "sumptuous". It was these things, plus a whole lot more—watch this First Look Video, and see if you agree with her initial assessment. 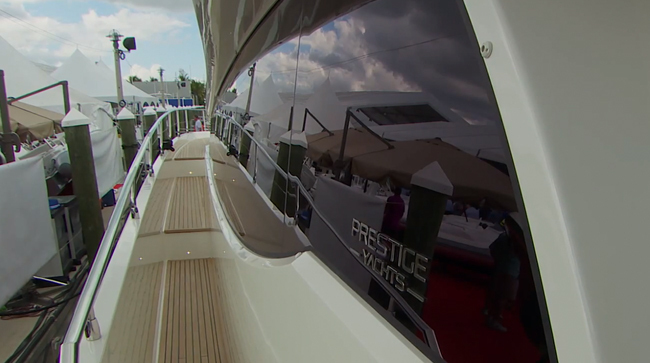 As you now know from watching the video, the layout and overall design of this yacht are a bit unusual. And this shouldn't be too surprising considering that the Prestige is built in Northern Italy. Still, that master stateroom location, the port-side helm, and the svelte beam are quite unique among boats of this class. 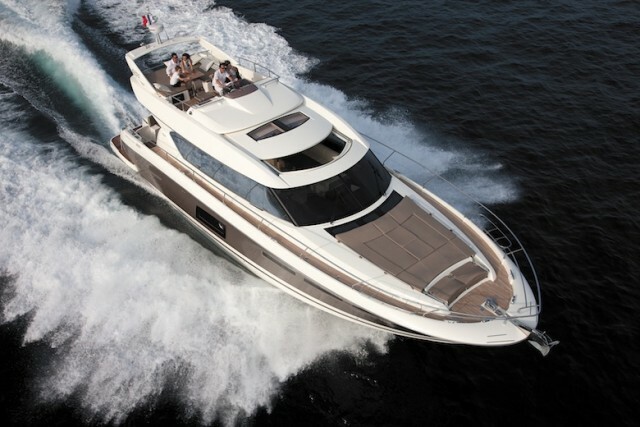 You won't see them aboard competitors like the Couach 2600 Fly (built in France), or the Princess S72 (built in the UK). Another thing you won't see on most yachts and boats in this class is the engine room headroom, which is copious enough to allow you to stand fully upright while inspecting the iron horses. 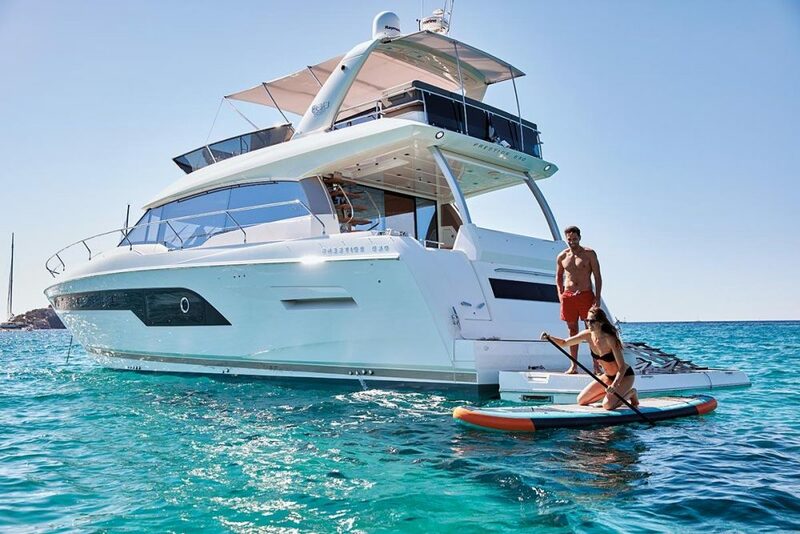 Often in a yacht of this class engineroom space is sacrificed to expand your elbow room in the cabin, which works out fine if you're the sort of owner who doesn't like to get his or her hands dirty. If you plan to do any maintenance yourself, that big engine room looks absolutely glorious. 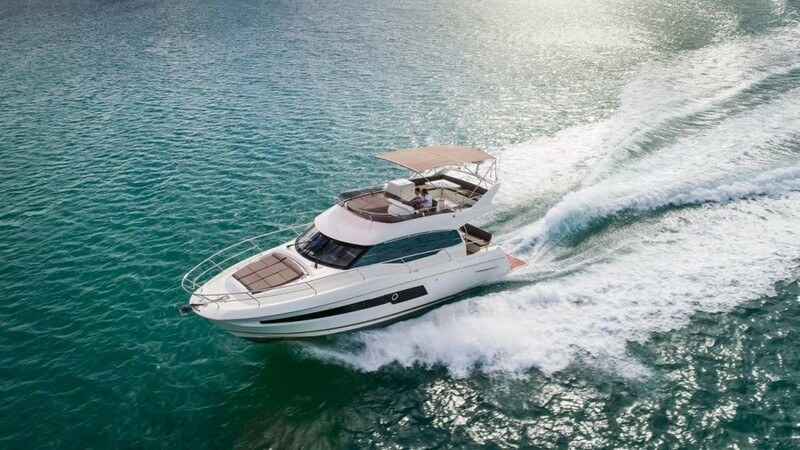 If the Prestige 750 seems to be a flybridge motoryacht that you'll want to examine in greater detail, you can get started by reading Zuzana Prochazka's full review: Prestige 750: The Lap of Luxury. 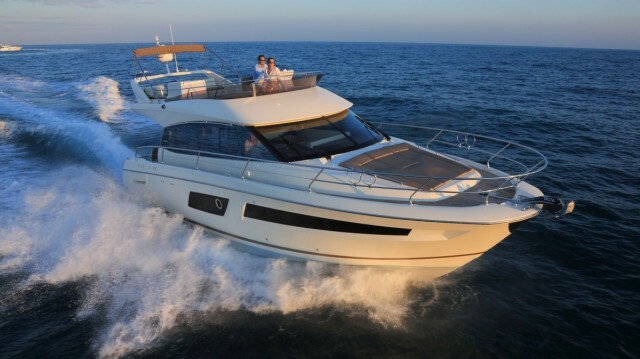 You can also learn more by perusing the Prestige 750 listings we have here on boats.com. 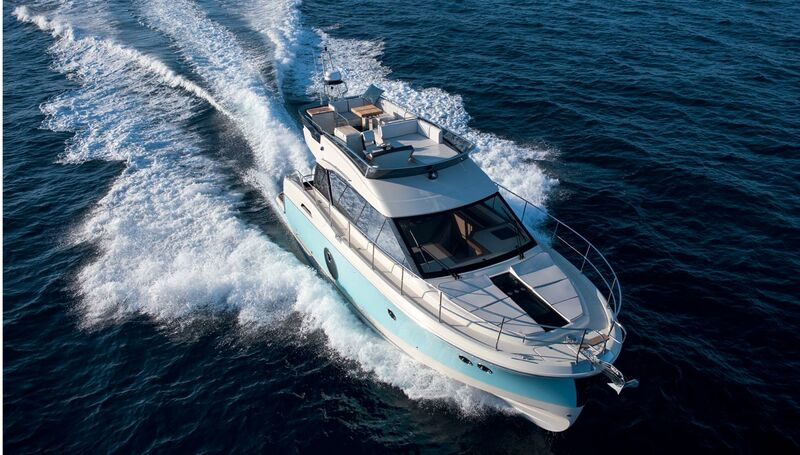 Or, to get the company line, visit the Prestige Yachts website. The site is in Italian, but don't worry if you're not fluent—all you need to do is click the "English" button.